As school system leaders, the members of the Council of Ontario Directors of Education are very aware of the power and benefits of parent engagement. 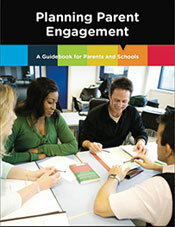 Thus, we are pleased to provide this Planning Parent Engagement Guidebook to accompany the Parent Tool Kit. The success of our students is the core goal. The support of parents and the community is a very significant asset needed to achieve that success.